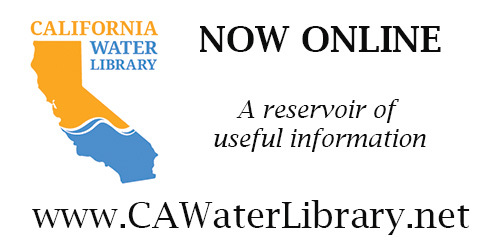 Click here for more from the Delta Stewardship Council. 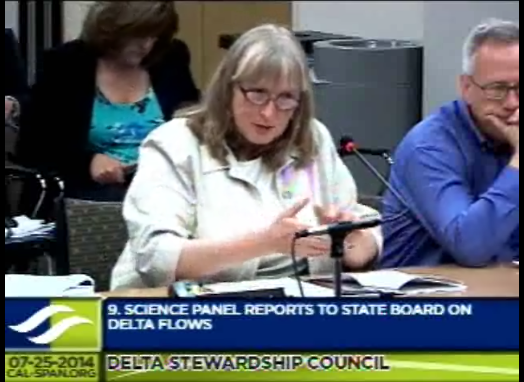 At the July 25 meeting of the Delta Stewardship Council, the council members heard an informational update on two independent science panel reviews on Delta flows and related stressors intended to help inform the State Water Resources Control Board’s update to the Bay-Delta Water Quality Control Plan (Bay-Delta Plan) that is currently underway. The update to the Bay-Delta Plan is focusing on evaluating the impact of insufficient freshwater flows as one of the stressors that may be contributing to the plummeting fish populations in the estuary. 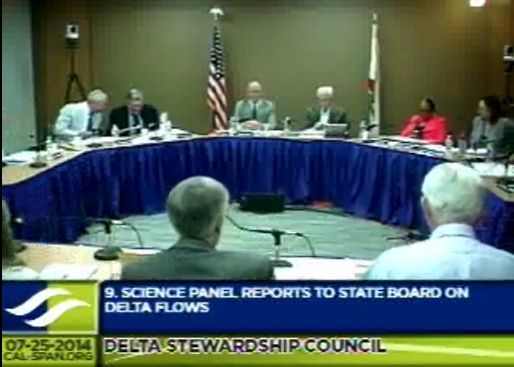 At the request of the State Water Board, the Delta Science Program conducted two workshops in the spring of 2014, one on Delta outflows and the other on Delta interior flows, to help the Board with its review of the Bay-Delta Water Quality Control Plan. The purpose of the workshops was to identify the best available science to inform the Board’s decisions. For each workshop, an independent panel of science experts was assembled and given the necessary publications, reports and presentations to assess the state of scientific knowledge. The panel presentations began with Les Grober, Assistant Deputy Director for the Division of Water Rights at the State Water Resources Control Board who discussed where the Board is at in the update process as well as how they are going to use this information. 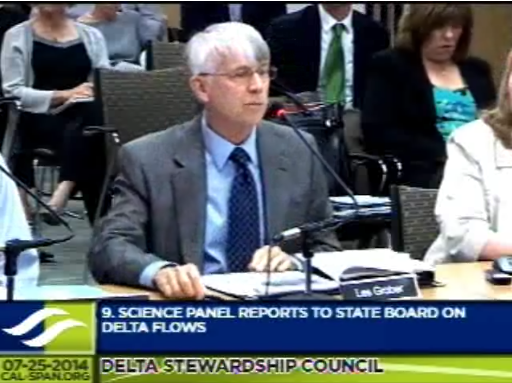 He will be followed by Dr. Denise Reed, chair of the Delta Outflows and Related Stressors workshop panel, and Dr. Kenny Rose, spokesperson for the Delta Interior Flows and Related Stressors workshop panel who both discussed some of their panel’s specific findings. 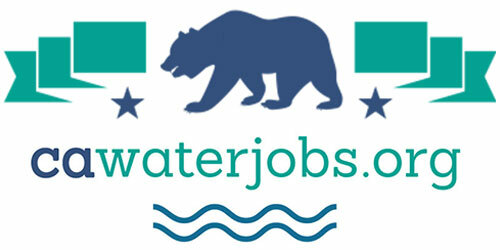 “Ultimately when we do these water quality control plans, we have to do the balancing of not just the science but also the policy implications of water quality objectives, so this is really the expansive role when we’re developing the science upon which everything else will be founded,” he said. The report had a number of conclusions, he said. 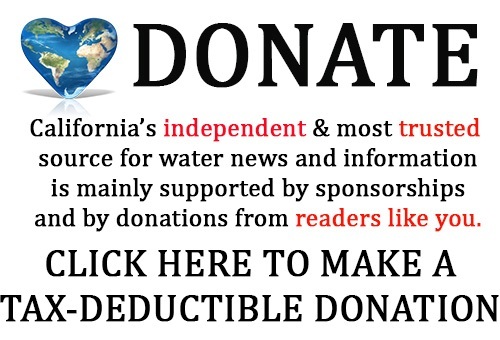 “It looked at some high flow amounts – it was saying 75% of unimpaired flow in the Sacramento River and in the Delta and 60% for the San Joaquin River,” he said. “These are all high-end flows that the board has said many times that it’s unlikely it would adopt such flows because of the high economic costs, the high hydropower costs, but it provides in that way perhaps a bookend in terms of what’s the high end. Of course, there’s some biological basis for those numbers.” He noted that the report also discussed the importance for connectivity of flows. 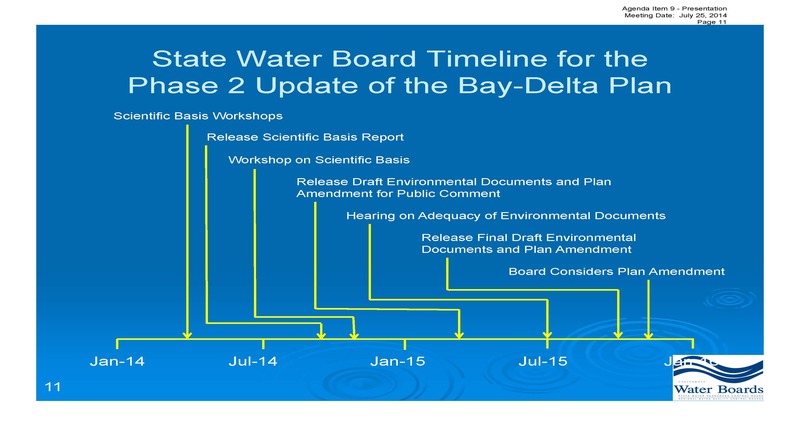 The State Water Board is updating the Bay-Delta Water Quality Control Plan in four phases, he said. 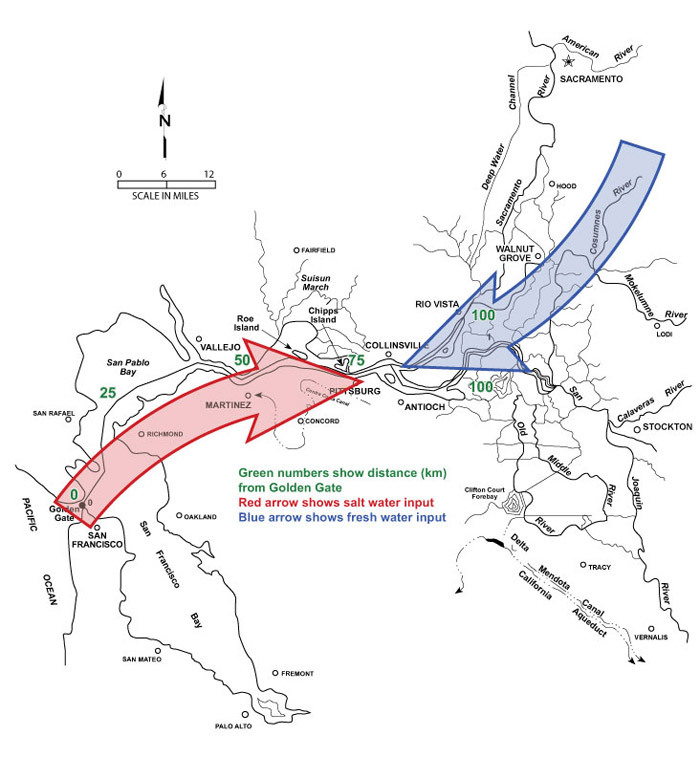 Phase one is looking at flow objectives for the San Joaquin River to protect fish, predominantly salmon, as well as south Delta salinity objectives; Phase two looks at everything else in the water quality control plan; phase 3 is the implementation of phases one and two; and phase four will look at objectives for high priority tributaries to the Delta. The plans always include monitoring and special studies which provides good information, because we’ll have to determine certain things now and leave other information that we need to develop through adaptive management as the process continues, he said. The ultimate goal is to determine what we do know, as perhaps we know more than we think, he said. One of the next steps will be to release a scientific basis report that will be a synthesis of everything the Board has in front of them, including the reports from these panels which will be released later this year. 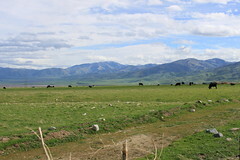 “It doesn’t do the policy stuff yet, it doesn’t do the balancing, it’s not the economics, but it’s a synthesis of everything that we have in front of us, including the reports from these panels that we will be releasing sometime later this year,” he said, adding that they had hoped to do it sooner but drought activities have kept people busy. The report should be available towards the end of the year with a workshop most likely early next year, he said. 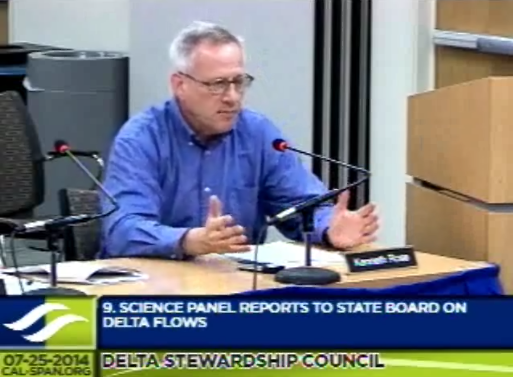 Mr. Grober also noted that the Board might take advantage of opportunities to work with the Delta Science Program and the Science Board again to review other critical elements. He then presented a slide with a timeline, noting the release of the report and workshop on the scientific basis in the beginning of 2015. “There would be a hearing on the adequacy of the environmental documents that are being concurrently prepared by about this time next year, and for the Board consideration into late 2015, early 2016,” he said, noting that it might be optimistic because of drought activities. Sam Harader then introduced Dr. Denise Reed, who was chair of the outflows panel, noting that she is chief scientist for the Water Institute of the Gulf and a nationally and internationally recognized expert on coastal marsh sustainability and how human activity can affect those marshes. Dr. Reed began by saying that she is representing a very impressive group that came from many different backgrounds, with experience from fisheries, general ecology, water quality, and physical processes as well as statistical analysis. The panel was formed and began work on 2013, holding a two-day workshop in February of 2014. A number of different perspectives and impressive array of information were presented in the workshop, and the panel was able to have extensive discussion with participants during the workshop to really identify the heart of the matter, she said. The panel was charged with answering a series of five questions. The panel did spend a lot of time thinking about X2, and at the beginning of the report is a background and history about the concept of X2, how it arose back in 1993 and how it was thought of and measured back then as approaches to measurement have evolved over the years, she said. There’s a lot of data here, which is good, but it does have its limitations, she said. Models are useful, but their complexity can surpass the information available. “The community here has made enormous progress on modeling, but sometimes the complexity of those models and how we theoretically understand those processes, particularly for the biology, go a little bit beyond the ability of the data to support them,” said Dr. Reed. The panel encourages continued but thoughtful use of multistage life-cycle modeling in the analysis of Bay-Delta data, but it’s critical that quantitative analyses communicate uncertainty in recommended flow criteria to decision makers. One of the most important points that the panel wanted to convey here is the idea of change in this system, she said. Ecosystem change in the Delta has been continuous for decades, and this slow continual change has been punctuated by events such as the sudden increase in invasive clams and the decline in chlorophyll and pelagic organisms that followed. While such events are dramatic, it should be kept in mind that continuous change has been taking place at all trophic levels before such events occurred, she said. “Perhaps there is a theme here which is – my words, not the panel’s – beware of latching on too quickly to one specific attractive idea and be sure to question and think about alternative explanations and think broadly about these things. These are difficult issues and the additional interpretations need to be taken seriously and considered,” said Dr. Reed. “One of the things you did is remind us what the real and unreal expectations were back in the 1990s when X2 was developed, and I thought that was frankly refreshing,” said Council member Phil Isenberg. He notes that in the report, the panel suggests using other indicators in addition to X2 for management of the system. What are the five or six things that the panel thinks is most important to add to X2, he asks. For Dr. Denise Reed’s power point presentation, click here. Dr. Kenneth Rose is a professor of Oceanography and Coastal Sciences at Louisiana State University with a strong research record on fisheries. He talked about the interior flows and stressors workshop, noting that his panel’s report has not been released yet. Our report is organized differently than the first, he said. There is an executive summary which summarizes the responses to the charge questions, but the main text is organized by topic, because his panel felt they were more comfortable by topic and cross-referencing rather than just answering the questions alone, he noted. Understanding fish movement and migratory patterns is improving within the Delta, but it still needs to be improved more because of the fine time scales and space scales, he said, noting that the technology is rapidly improving and is being used more and more. 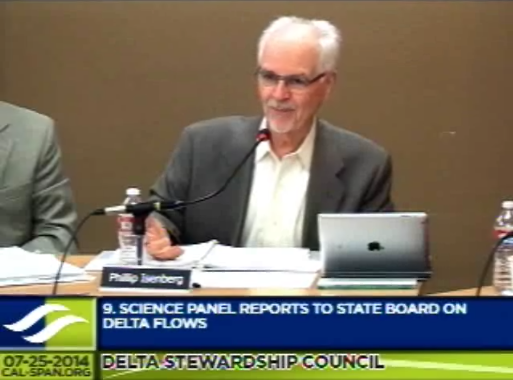 Council member Phil Isenberg asks Dr. Rose about his statement about unimpaired flows. “What we said was it was informative but not definitive,” replied Dr. Rose. “And it is informative, because …?” asked Mr. Isenberg. Council member Judge Damrell asks him to expand on his cautionary words regarding adaptive management. “A third limitation is there’s a level of distrust in the scientific and stakeholder community that makes a cooperative study which adaptive management needs challenging. And that’s a people problem that people go along with it until they decide … well, there’s a great degree of distrust that needs to be dealt with in order for adaptive management to be really effective,” he said. 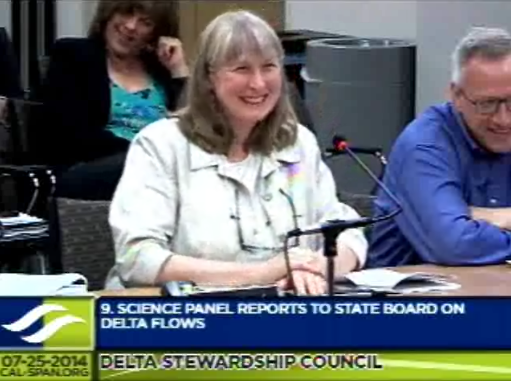 Note: The panel report for the Delta interior flows workshop was in the finishing stages and has not been released yet. For Dr. Kenneth Rose’s power point, click here.